Air and land transportation in the Eastern United States is expected to be disrupted over the next three days and beyond as Winter Storm Jonas dumps snow and ice on a large portion of the country from the Carolinas through New England. The storm has already hit the Mid Atlantic states, with snowfall reported in North Carolina and 1-2 feet expected in eastern Kentucky, West Virginia, southern Pennsylvania and New Jersey. The storm is expected to hit Washington, DC and Virginia later on Friday, with 1-3 feet of snow expected in the area. As the storm moves north, some 8-12 inches of snow is forecast for New York City through Saturday and into Sunday. 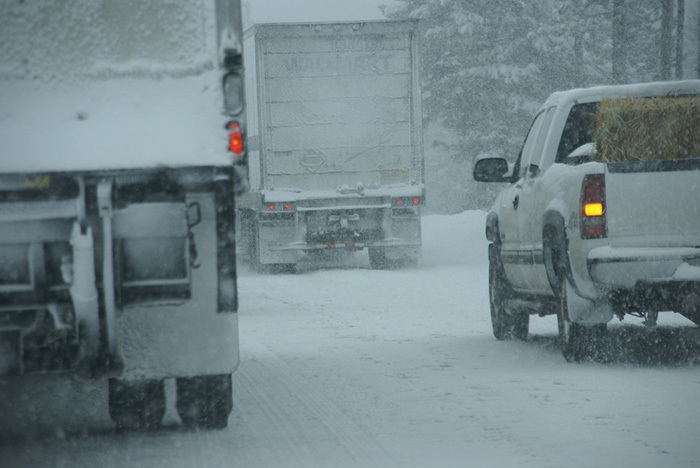 U.S eastern railroads, parcel providers and trucking companies are warning shippers that the storm with blizzard conditions affecting 18 states will delay shipments Friday and through the weekend. U.S. North Atlantic ports are shortening their operating hours in preparation for Winter Storm Jonas. Much of the Mid-Atlantic and Northeast, as far west as the Tennessee-Missouri border, and north as Connecticut, was under a mix of winter storm, blizzard, and flood warnings and watches, with Jonas threatening to dump anywhere from six to 30 inches of snow and precipitation on the Eastern U.S.
Over 5,000 flights in the United States have been cancelled through Saturday. United Airlines has canceled all flights from Washington Dulles Airport and other airports in the Mid-Atlantic United States as of Friday afternoon. Significant disruptions on major highways from North Carolina and Tennessee through New York. Interstate 81 – a key highway linking the Northeast United States with the Mid-Atlantic – may be closed during the storm. This year’s traditional bet between the Chicago Bears fans at Independent and the fans of division rivals Packers for once did not go to plan for their Green Bay based furniture clients. Whilst in the final analysis the Green Bay Packers finished the season almost winning the division, and the Chicago Bears ended up in last place, the Thanksgiving Day game between the two teams did not go well for Green Bay ! 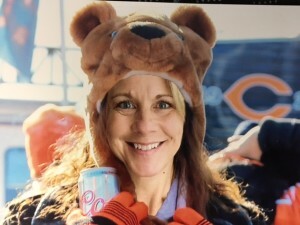 As a result, Green Bay Packers fan Beth Hassler of Axess International fulfilled the terms of the wager by wearing Bears team gear and allowing the picture to be posted here. For once, the Bears fans at Independent are looking forward to doing it all again next season ! Comments Off on Finally !